There isn’t any texture or smell. However it lacks on the case of the design. However this product was above my expectation. As it's a cream, it's important to control the amount and I used it just enough and felt the oil! At first you might think it’s too much but later on it absorbs smoothly. I don't really like the stickiness so I slightly touched and felt the middle texture of stickiness and moisturizing. This one is more on moisture. It absorbs well and gives moisture. The skin has to be balance so there isn’t has to be always moisture but oil at the same time. This cream is just right item to balance out the skin. There is some people who care too much about moisturizing that they tend to apply many skin care cosmetics as possible but when they are doing their makeup, it doesn’t settle onto the face. You have to control the amount of product you apply. Use less cream on the morning like applying very lightly than nighttime. So depending on your skin control the amount you apply. There is some severe dry skin type people who needs more than what I just said. For people who feels dry on the cheeks should use it on the place where is dry. When there is enough oil than using the essence would be fine. So figure out which place needs more or not when you are applying skin care products. It depends on the type of skin people have so choose the product that goes well with your skin type. When it comes to smell, I don't really care but when its really good my positive feeling towards the product increases. This is said to be moisture cream and have enough oil inside. 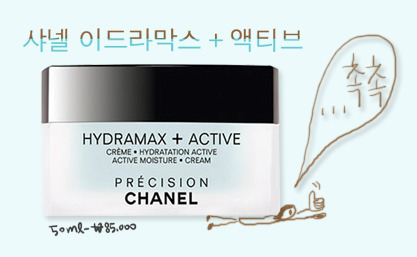 The absorption isn’t that fast but just right like other cream. 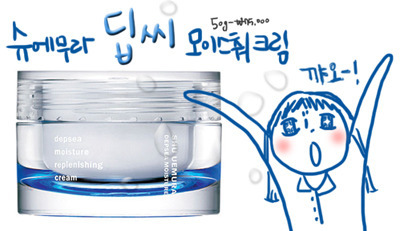 This product is just like Shu Uemura Deep moisture cream. The moisture is stronger than oil so it settles onto the face nicely. My sister uses Shu Uemura and I use the Chanel. These two products just work great for my skin and my sister’s skin. However I don't know about repurchasing. Every person’s skin is different so finding the right cream for your type is important. Ask yourself about why do you need for my skin? If you have the right item you can lasts the cold weather without drying up your skin. There is no pressure to buy many cosmetics because the weather is getting cold. Using only toner + eyecream + moisture cream would be fine to have smooth skin. However don’t use only moisture cream for severe dry skin type, it might be non enough. click on the link below to see more information.